solar power in Daisy Hill. You Are Here: Home / SOLAR NEWS: Our Blog / Uncategorized / solar power in Daisy Hill. Daisy hill is a suburb of Logan City in southeast Queensland. 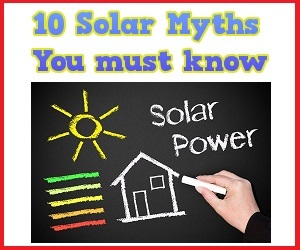 This article tries to enumerate the possibilities for solar power in Daisy Hill. Location – Daisy hill is adjacent to Logan City at a distance of about 2 miles east. Brisbane lies about 15 miles to the northeast. This locality is bordered by Priestdale, Mount Cotton, Shailer Park, Meadowbrook, Slacks Creek and Springwood. The southern boundary of this area runs along the M1 Pacific motorway beyond which is Logan City. Real Estate – Since it is very close to Logan city and well connected on all sides, development has come here much earlier. Hence the property prices are higher and the density of homes is much more than other surrounding suburbs which are a little further away. Most of the real estate is suburban homes although there are a few commercial zones and business areas present. Daisy Hill has a lot of variety in terms of type of properties. There are small houses which are around 300,000 Australian dollars, some houses depending on the location around 500,000 dollars and exclusive homes in gated neighborhoods at 800,000 dollars and above. It isn’t uncommon of some houses to go for a million dollars or above. The median prices in this neighborhood are around 420,000 dollars. Daisy Hill also many recreation parks, sports facilities and conservation parks. More than half of the area of the locality is actually covered by the Daisy Hill Conservation Park which is a protected reserve and contains many native species of flora and fauna. As most of the land is highly developed there is very little chance of new land releases. This is especially important due to the presence of fragile ecological reserves in the area. Despite this, redevelopments do happen and many older residents decide to move to newer area when property prices appreciate, which they do a lot in this area. Solar power potential – There is a lot of solar power potential in Daisy hill but only in the area of Suburban homes, business establishments and public amenities. Power generation through large scale solar arrays is out of the question in this area. As there are a lot of houses in this locality, solar power can be introduced by effective marketing campaigns by highlighting the power reduction overtime. Since this is a dense suburb, there is good chance of reaching a significant portion of the population. There are already a few houses that are using solar power in Daisy Hill. Another effective area to concentrate would be the public facilities like parks, sports areas, recreation reserves which are numerous in this area. General public infrastructure can be also targeted for solar power in this area as dense suburbs tend to have a lot of power consumption just for the public utilities. Similarly commercial areas should also be encouraged to put up solar power wherever feasible as it cuts down costs in the long run and reduces the need for power from the grid. Solar power along with other renewable resources is a necessity of the hour to stop and reverse the tide of climate change and to protect fragile ecologies, which areas like daisy hill have.